The leaders of the Department for Education have appeared in front of education select committee to face questions on careers, funding and multi-academy trusts. 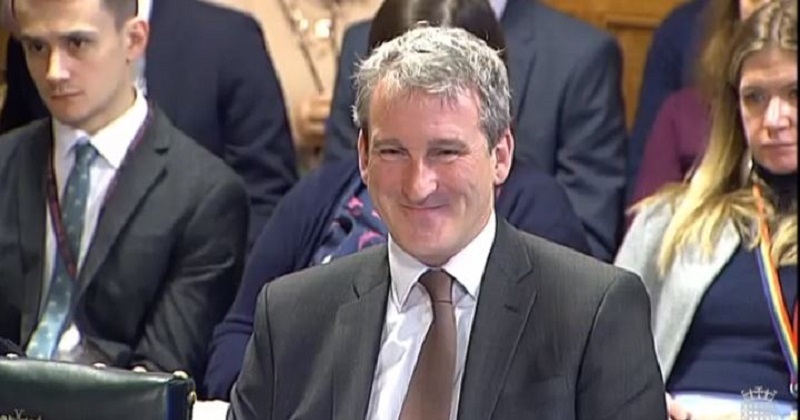 Secretary of State Damian Hinds and the DfE’s permanent secretary Jonathan Slater made their appearance this morning, just one day after the government’s Brexit deal was rejected by parliament. Unsurprisingly, the first question asked was on preparations for a ‘no deal’ Brexit. Hinds said it was “the reality of no deal” that there was a risk that civil servants would be taken out of the DfE on a temporary basis, but insisted that the department had planned for “everything that is reasonably possible for us to plan for”. Schools Week understands the DfE is seen as a non-priority ‘no deal’ department, and is working together with DEFRA and HMRC. They both require 1,300 civil servants in the event of no deal, with DfE providing most of these (on six-month loans). Just three policy areas have been protected – funding, safeguarding and teacher recruitment. The Brexit problems could also delay publication of the government’s recruitment and retention strategy. Writing in Schools Week in November, Halfon called on the DfE to follow in the footsteps of the Department of Health and create a 10-year funding plan to take to the Treasury. This demand was repeated several times to Hinds today, who seemed reluctant to commit to a plan. Hinds insisted the department would be setting out what it needs and how much it will cost, but was unable to give a figure of how much is needed. He said they need to make sure they have a “multi-year plan” that sets out how the department best uses what it already has and ensures the “core” funding is at the right level. “We’re trying to help you,” Halfon rebuked. Quizzed on enforcing the Baker clause, which is supposed to ensure FE providers are allowed into schools to talk to pupils but has been often ignored by schools, Hinds insisted he is “not going to be heavy handed with schools where we don’t need to be”. “I don’t anticipate this being a common thing,” he added. Skills minister Anne Milton warned in August the government would directly intervene in schools which failed to comply with the clause, but a report released by the Institute for Public Policy Research last week said no intervention has taken place. Hinds faced criticism from James Frith for suggesting that highlighting FE routes was in “everyone’s best interest”, who said the Baker Clause exists precisely because it isn’t always in a school’s interest to suggest alternative pathways and told Hinds: “I don’t think you’re across this”. Slater insisted the government is cracking down on related party transactions in academy trusts. Using 2016/17 accounts, he said the DfE investigated 108 cases of related party transactions and found 59 were “wanting”. These questionable transactions amounted to £7 million which Slater said was only about 0.03 per cent of the overall academies budget– but Ian Mearns interjected that it was “more than was taken in the Great Train Robbery”. From April, trusts will have to inform the DfE about related party transactions in advance and get government approval for any that are above £20,000. Slater said the new system would be “the most rigorous regime anywhere in the world”. Quizzed on the use of isolation rooms, Hinds said they were not “unlawful” but he would expect it to be done in a “proportionate and constructive way”. Asked by Ben Bradley if a child taken out of a lesson to be put in isolation should be made to do something constructive “and not just left in a room to stare at the walls”, Hinds said it wasn’t for him to be “second-guessing” what teachers do. He said Edward Timpson’s review into exclusions, originally due to be published in at the end of 2018, would be published “in early 2019” but was unable to give a date. Slater said it’s a “big part of the job” of Regional Schools Commissioners to help grow sponsorship and enable trusts to grow in size. He said he didn’t have the exact number of ‘orphan schools’ that were still waiting for a new sponsor, but would write to the committee to tell them. However, he added that the DfE will fund school improvement services while it waits for a new sponsor.